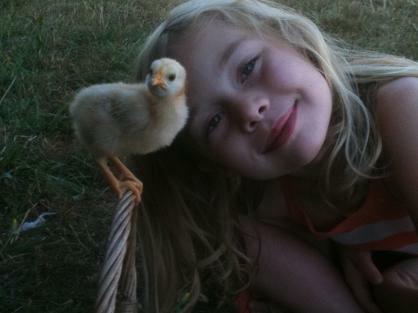 We raise free range chickens and have organic eggs for sale year round. We make weekly regular deliveries to Springfield and Eugene. 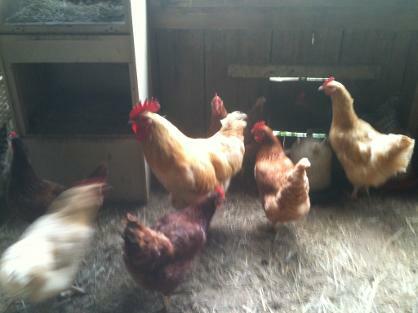 We have several varieties of hens and each dollar raised goes directly to Savannah and Peytons College savings account. 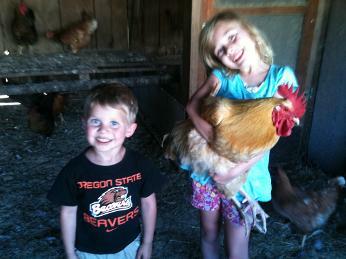 Both kids help select, handle and care for our hens daily. Eggs are collected daily and washed in mild detergent and refrigerated. We do not use bleach as this breaks the integrity of the shell. This spring we will have a produce stand at the ranch that you visit and see other produce, flowers, and products we have for sale.